Small Moments- Creating an Explosion! This is a 5 page download that will serve as a concrete tool to help your second, third, or fourth grade students create a solid explosion on one, small moment in time. The first page asks the writer to consider the reader by determining importance and creating a hook that will make them want to read more. The second page (which is the second paragraph) is supposed to help set the stage for the main event. This page asks the writer to discuss what was happening right before the main event. 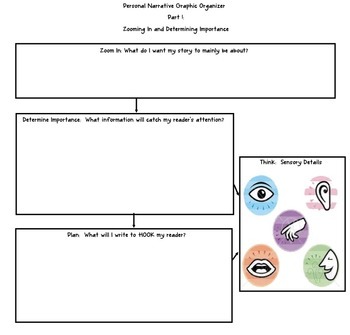 It wants to know who, what, and where and has a visual reminder to help the reader connect by using sensory details. 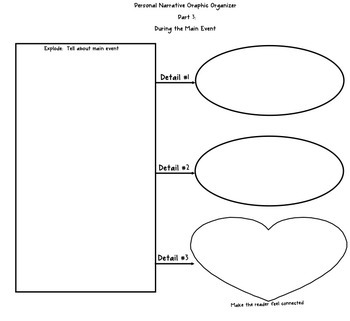 The third and fourth page ask for a description of the main event and of what happened after the main event. Each has room to record 3 details with a visual reminder to make one a sensory detail. Finally, the fifth page (part of the final paragraph) asks for the writer to give one statement, thought, or question that helps tie the story together. 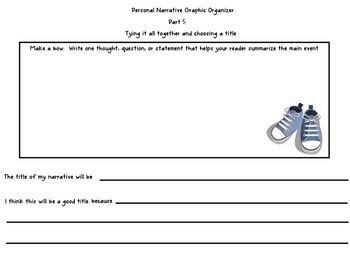 This page also allows space for the writer to title the story (I like my students to do this last. I think it makes it easier to have the title be more meaningful than "The Best Day").